If you’re interested check your Google Maps app to see my lil trip for Saturday. I’m in Coarsegold (start there) just 23 miles south of Yosemite so all these tree lined two lanes are nearby. The Park will be crowded on a sunny Saturday so I’m skirting the foothills to avoid the masses! Start out on 41 north to 49 at Oakhurst. Take 49 to 140 in Mariposa thru El Portal to Yosemite and 120. Hang back west on 120 instead of heading deep into the Park where the tourists will be. I should run into snow lined roads but other than some wet and sandy corners the road is actually in pretty good shape. Then, head south onto Smith Stanton Rd past Buck Meadows thru and over Greeley Hill to Coulterville, back at hiway 49. Then cross over 49 onto 132 then south onto Merced Falls Rd to Hornitos Rd and then Bear Valley Rd ending up at 49 again. Then I’ll take 49 back to 41 and home, all in about six hours depending on how long I stop to gaze at the scenery. Wished someone lived near enough to enjoy the roads around here. Sunday’s weather looks as good as tomorrow so'ill pick some other two lanes and head out again. 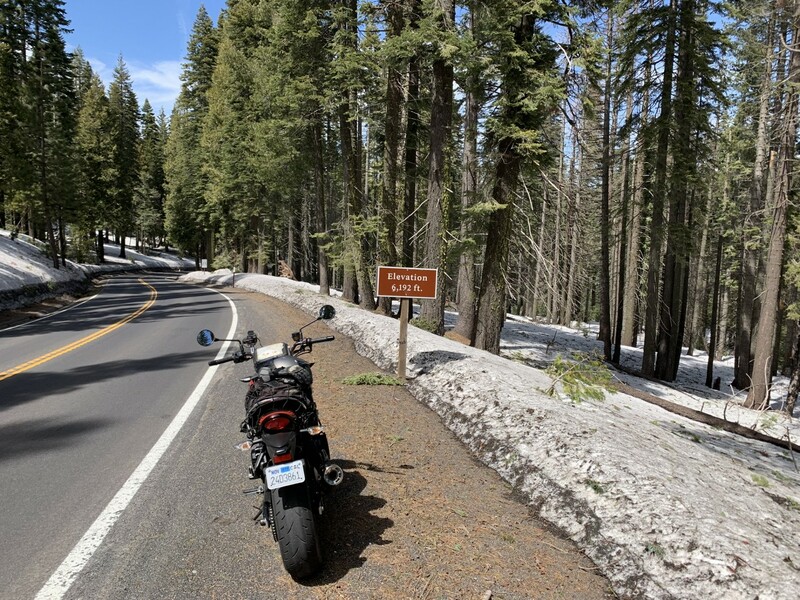 I’m planning a multi day ride all the way north on 49 skirting the Sierra Nevada mountains all way to the end in northern Ca. Has anyone else here ridden these roads?